The second in our regular series looking at hot topics. We're trying to start a debate so it might be a little provocative. Is a tech giant or a global brand about to bulldoze its way into UK protection and disrupt the market from under our feet? We’ve all had the conversation. It’s a frequent topic of discussion, especially over a few beers when the protection great and good come together after an event. “I’m surprised no one has done it yet,” someone will say. “The UK protection market is ripe for disruption. When will we see the Uber or the Airbnb of the protection industry,” another asks. 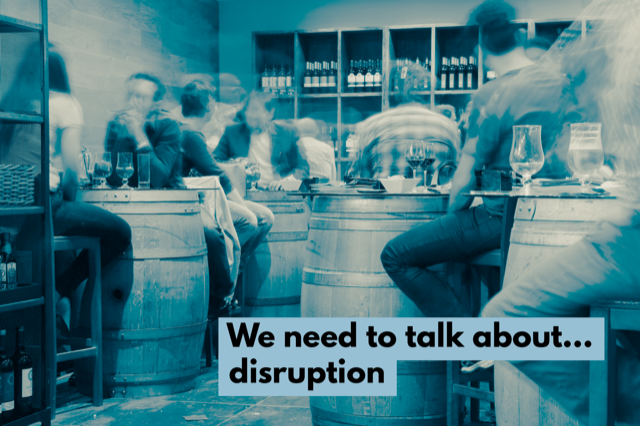 The inference of all these conversations, alcohol fuelled or not, is that we’ve seen no disruption in protection. Is this true? We believe there is disruption. But it’s a slow gradual disruption rather than the imagined cataclysmic arrival of Google. We’ve seen technology replace paper. Great apps and tools making things quicker and easier for advisers. Improved products with wider cover and more claims paid than ever. Added value services, which are now common features of most protection propositions, were massively disruptive when first launched. These are all good developments for customers. More could be done, undoubtedly. Perhaps some simpler products built from the ground up and rooted in mobile technology rather than based on 20 to 30 year old designs. But one thing remains true in the UK. Protection is not an aspirational purchase. The reason Uber and AirBnB were able to disrupt taxis and hotels on a global scale is they were looking at a service people want. They only had to focus on changing the model rather than having to focus on changing public attitudes. Disruption on the Amazon scale we talk about in pubs would still have to overcome this customer barrier. And perhaps, with their global billions in revenue, the modest size of UK protection is just not a big enough prize for someone to take on that communication challenge. So let’s carry on what we’re doing. It’s evolution. It’s change. It is disruption - just slowly. Maybe we just need to pick up the pace a little?